This stylish purse is perfect for all occasions whether it be a small cocktail party or an elegant wedding. A beautiful accessory that is sure to become an heirloom that will be a joy for future generations and a great memento of wonderful events. 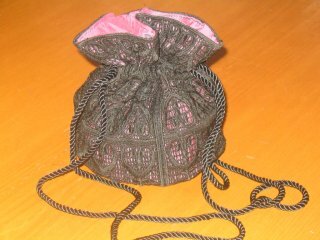 You can easily adapt this purse to many styles and tastes just by your choice of colors. 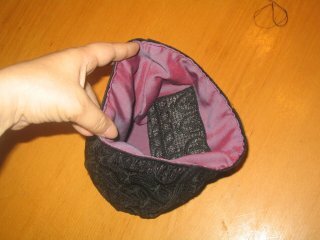 You can do the round purse as illustrated below but please let your imagination run free. 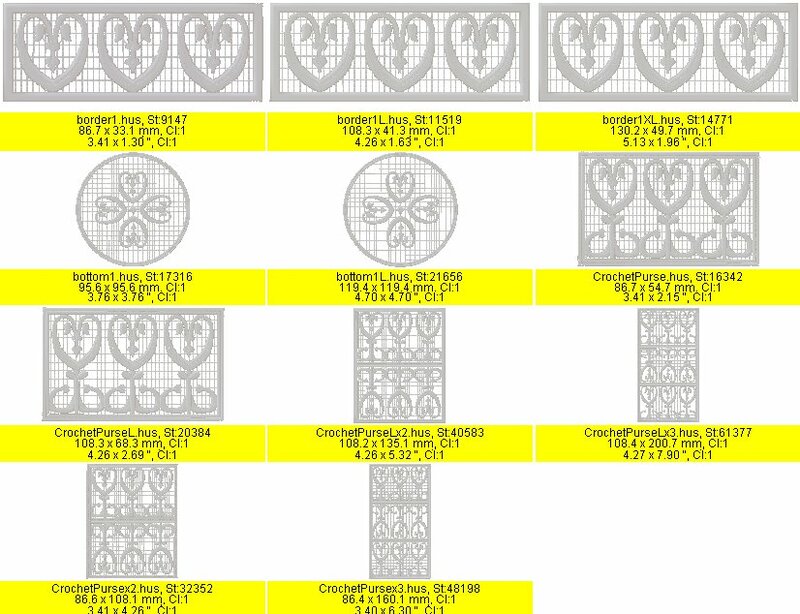 These designs are regular rectangle or square panels of lace which will make them easy and fun to use in countless projects. This ensemble was designed so that 4x4, 5x7 or 6x10 users can use them. 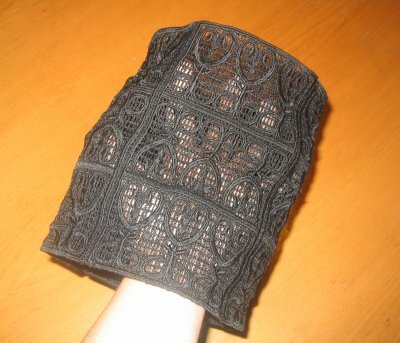 The 4x4 users will stitch the one piece 12 times. The instructions that come with the set will explain how easy it is to put them together in a matter of minutes. The 5x7 or 6x10 users will stitch the pieces with 4 or 8 motifs a total of 4 times. This applies to both the smaller and the larger sizes. It will only take a few minutes more for the 4x4 users to get the exact same purse then the 5x7 or 6x10 users. All pieces have been digitized individuallyl. This means that the designs that look like it is 2 or 3 repetitions of the single design is actually a whole new design, not copied and pasted. This is to garantee that your stitching experience will be painless and a pleasure till the end. We have included a border design in 3 different sizes to allow you to stitch a matching design on the cuffs of a blouse or the bottom edge of a dress or scarf to make the most dashing ensemble. The objective was to create something that 4x4 and 5x7 or 6x10 users could use and get the same size and result. In this ensemble you get designs to make 2 different size purses. Size of the finished larger purse is 20cm(7.9") high and 16cm(6.3") for the smaller one. It can easily contain a small cell phone, keys, lipstick and a small wallet. You can definitely take this little purse anywhere and still have the essentials with you.